Overwhelmed Cardi B says, maybe I need to start smoking weed. "Invasion of Privacy” beat out albums by the late Mac Miller, Nipsey Hussle, Pusha T and Travis Scott. 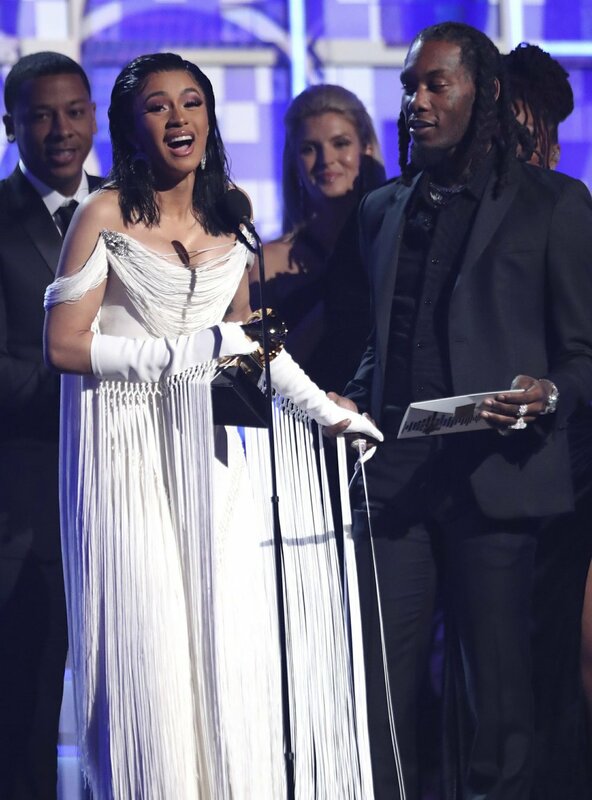 Holding the trophy in her white-gloved hands, Cardi B thanked "you husband” and the couple’s daughter, who was born seven months to the date. Cardi B had one of the show’s memorable performances, twerking on a piano and strutting with peacock-like plumage attached to her hips while singing "Money.” Her necklace fell off mid-song but she kept on going.